School Cheer is back at Detroit PAL! The School Cheer Competition was held at DEPSA High School on Sunday, March 31st. All of the cheerleaders did an amazing job in their performances in front of a sold-out crowd! All of our cheerleaders worked extremely hard to prepare for this competition and it showed when they took the floor. Full results below! 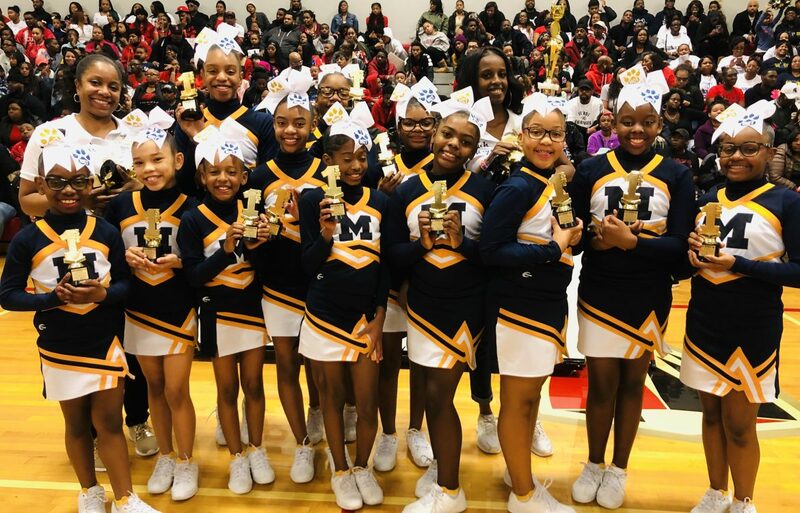 Congratulations to everyone from Joy Preparatory, David Ellis Academy West, Chandler Park, FLICS, University Yes Academy, University Prep Academy, MacArthur K-8, Hope Academy, Old Redford Academy, and Redford Service Learning on a great 2019 School Cheer Competition!